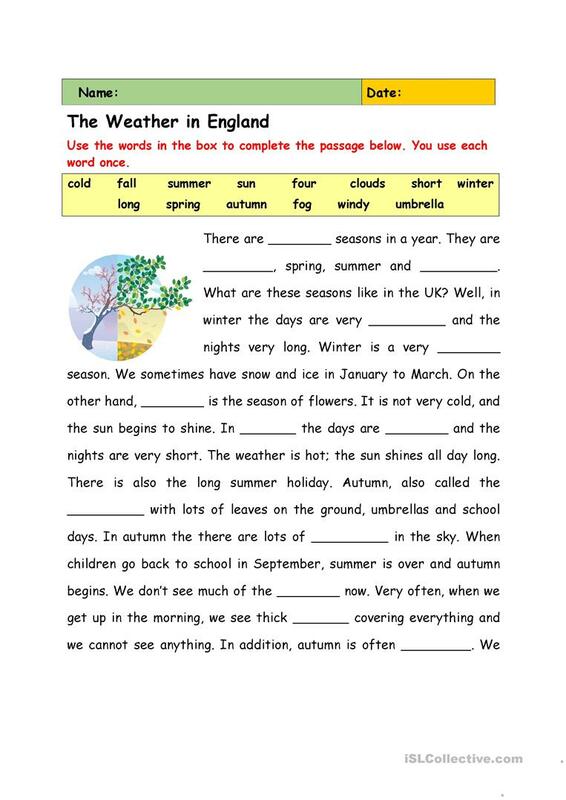 I created this worksheet for my Entry 2 learners who will be applying some of the vocabulary words they have been working on throughout the term. 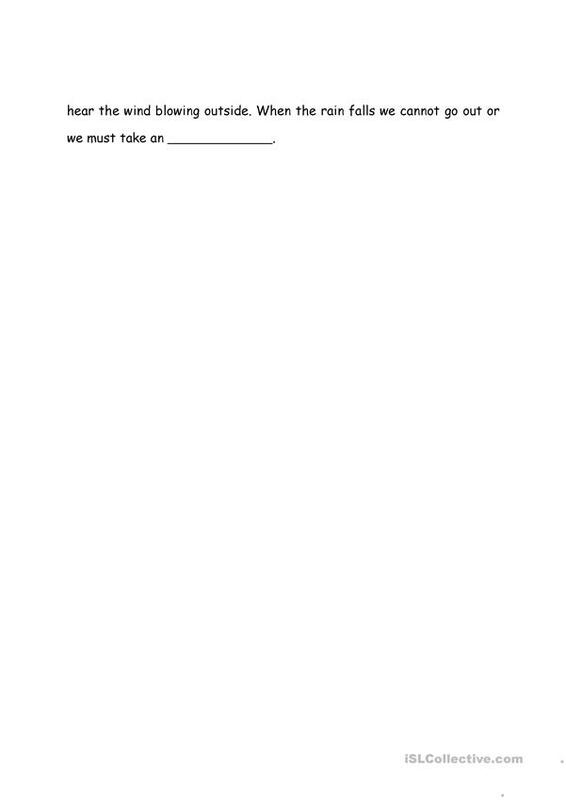 Learners read the words and then apply them correctly to complete the passage. I hope some of you find it helpful. 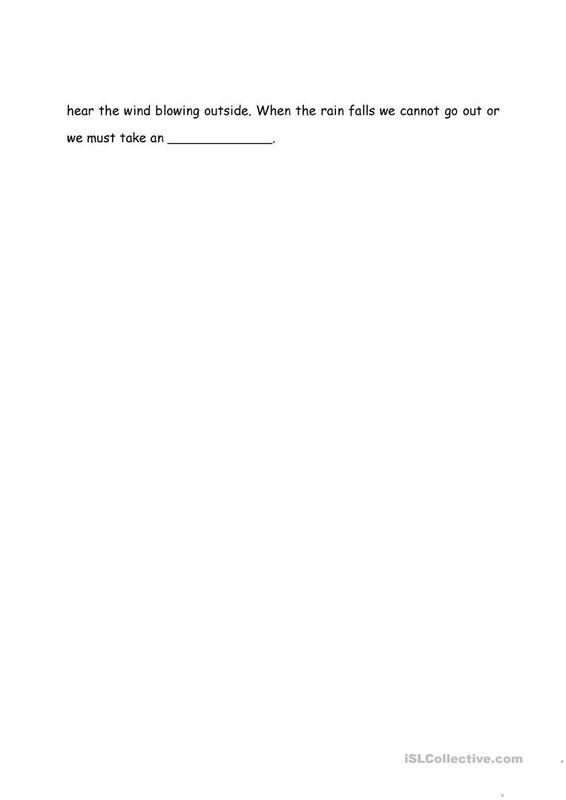 This downloadable worksheet is a great resource for adults at Elementary (A1) level. It can be used for developing your groups' Reading skills. It focuses on the theme of Weather.